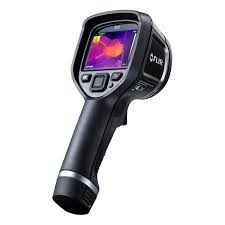 We are a leading Wholesale Trader of flir thermal imaging camera model tg 165, kusam meco handheld thermal imaging camera model te 02, thermal imaging phone, thermal imaging camera, fluke thermal imager ti90 ti95 ti100 ti110 ti105 ti125 and fluke visual ir thermometer model vt 02 vt 04 from Mumbai, India. 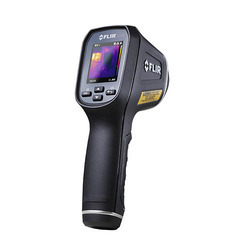 The FLIR TG165 Imaging IR Thermometer bridges the gap between singlespot infrared thermometers and FLIR’s legendary thermal cameras. Equippedwith FLIR’s exclusive Lepton® micro thermal sensor, the TG165 lets you seethe heat so you know where to reliably measure it. Easily nd unseen hot andcold spots for instant troubleshooting, and store images and data to showcustomers and include in reports. 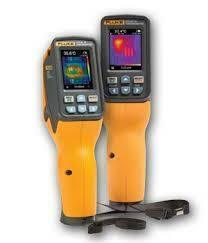 Handheld Thermal Imaging Camera is widely used in the Medical,Archaeological, Electrical Panel Analyzing & so on. Display : 2.4” color Screen. Measuring Mode : Infrared focal plane measuring temperature. Vision Option : 25% step infrared to visional to infrared & visional image. Emissivity : Adjustable 0.1-1.0 . Palette : Iron red, rainbow, rainbow high contrast, Gray scale (white glow) & Gray scale (black glow). Battery Type : AA battery x 4. Auto Power Off : 12 minutes. Humidity : 10%RH ~ 80%RH. Dimension : 212(L) X 95(W) X 62(H)mm. What is the CAT S60? The CAT S60 is one of the most interesting smartphones I’ve tested this year. 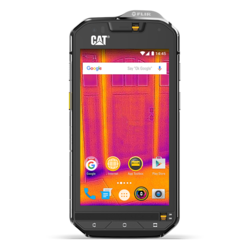 Featuring a rugged, near-indestructible chassis, the S60 is the first phone I’ve seen with a built-in thermal imaging sensor. The sensor not only gives me the Predator vision I’ve long yearned for, but also acts as a useful tool in a variety of work, DIY and extreme sports environments. This, combined with its top-notch hardware and software, make it the ideal choice for everyone from adrenaline junkies to professionals working in hazardous environments. CAT’s also loaded the phone with a custom SOS button, for people using it in hazardous environments. The button can be customized to fulfill various functions, including calling emergency services and sending out location alerts to team members nearby via SMS. The microSD port lets you add a further 256GB of space to the phone’s built-in 32GB of storage, which will be handy for professionals who regularly need to save images recorded using the S60’s thermal sensor. The S60’s 4.7-inch display is one area in which the phone fails to impress. In today’s world a 720p resolution is sub-par on phones close to half the CAT’s price. The resolution is sharp enough for text to be legible, but you will notice specific pixels when viewing pictures, or watching video. plus a laser pointer to mark locations. data overlays stay upright no matter how you hold the camera. using the touchscreen to gather more detailed temperature information. them that further supports findings. in the sharpest clarity and accuracy. temperature patterns and detail with E-Series’ greater sensitivity. Fluke Visual IR Thermometers combine the convenience of a spot thermometer with the visual advantage of an infrared camera creating a brand new tool category. 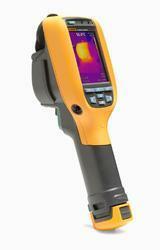 Looking for Thermal Imaging Camera ?